Wow! Beautiful! Please enjoy in best of health. Thanks. not just a Watch. it's a lot more than that for sure. a real beauty and fits your wrist perfectly. Wow, amazing piece, well-balanced dial and an exquisite piece for sure ! Is this a gen two or gen 3 Overseas model line ? It is from the gen 2 Overseas line. Another great one to add to an already great collection. 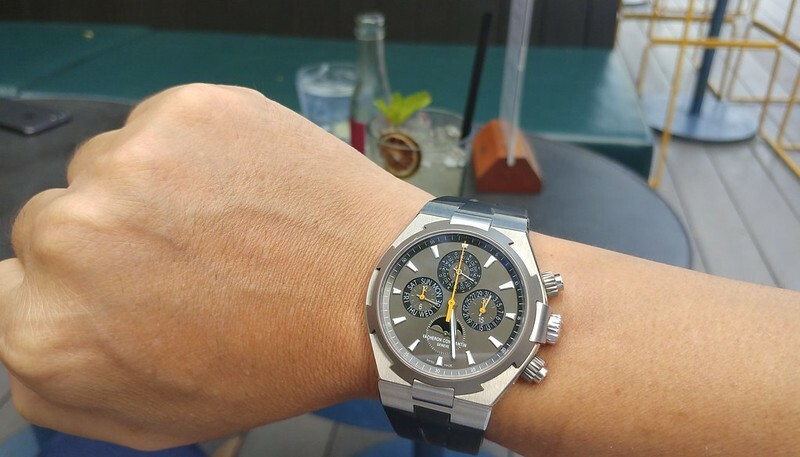 The gray dial and titanium bezel work so well with the mustard yellow accents. I think it looks great on your wrist in terms of the size and proportions. 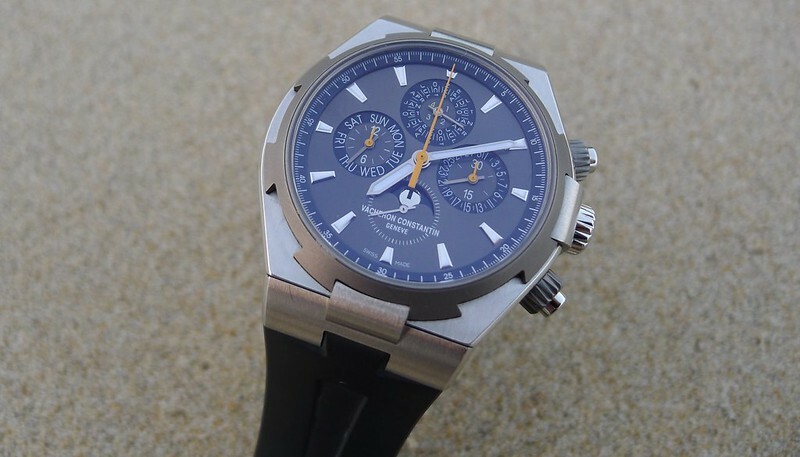 And the combination of a perpetual calendar with a chronograph in a sporty watch is special. Anyway, enjoy this amazing piece. ...I rotate the bracelet onto mine, but I always return to the rubber strap (both on the chronograph and automatic time-only). I just prefer the rubber. But the bracelet would definitely work well on yours and elevates the elegance level for the piece. It is worth having the bracelet and putting it on for a change.